I love this duvet collection! 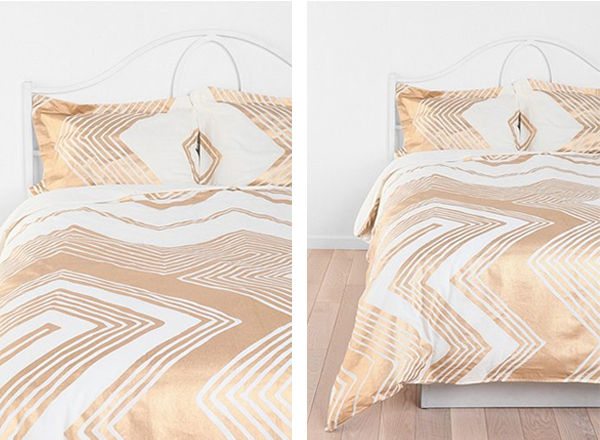 It combines modern, geometric shapes with a beautiful gold foil look. This gorgeous set will absolutely make anyone feel like modern royalty, and can be found at Urban Outfitters!